Dazed and Confused quotes are certainly quotable for movie fans. These are some of the best quotes from the coming-of-age film Dazed and Confused as determined by you and your votes. Written and directed by Richard Linklater, Dazed and Confused focused on the last day of school for several teenagers in Texas. The year was 1976. Released on February 10, 1994, the tagline for Dazed and Confused was "Weed rules." The cast of Dazed and Confused is notable for some of the future stars it features in smaller roles, including Oscar winner Matthew McConaughey. 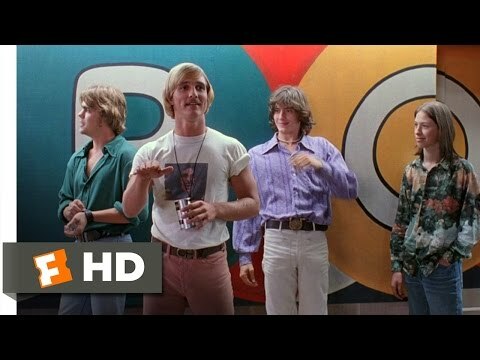 What are the best Dazed and Confused quotes? Do you like Wooderson's line, "All right, all right, all right"? Or do you like some of the lesser known lines from the film? Let it be known. Vote for your top Dazed and Confused quotes and watch them rise to the top of the list. Wooderson: Yeah, man, that's where all the girls are right? But I'd just as soon keep workin', though, keep a little change in my pocket. Better than listenin' to some dipshit, doesn't know what the hell he's talkin' about, anyway! Wooderson [to Mitch]: So, you're a freshman, right? Tell me, man, how's this year's crop of freshman chicks lookin' this year?